Terms & Conditions – JackIn. The Original JackIn headphone jack case. JackIn. The Original JackIn headphone jack case. www.jackin.co.uk is operated and maintained by JackIn Limited. 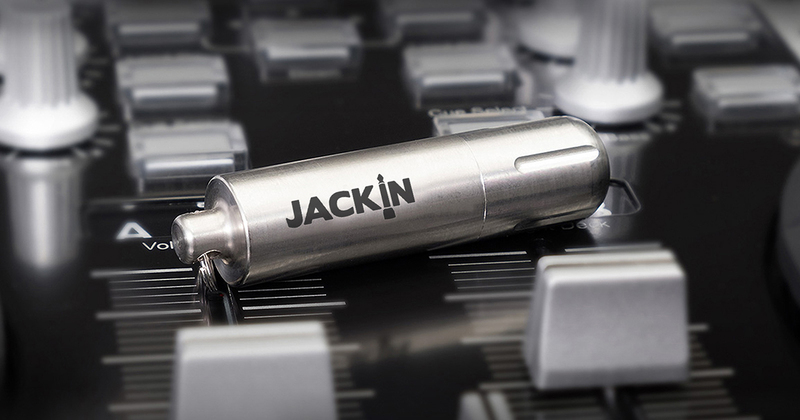 JackIn Limited, a company incorporated under English Company laws. means any person or business contracted by us to carry Product from us to you, whether all or part of the distance. means www.jackin.co.uk and includes the entire computing hardware and software installation that is or supports Our Web Site. any of the Product we offer for sale on Our Web Site. means information in any form published on Our Web Site by us or any third party with our consent. in any event to you as a buyer or prospective buyer of our Product. Provided you are a person not residing outside England. We shall accept your order by e-mail confirmation. Our message will also confirm details of your purchase and tell you when we shall despatch your order. Product(s) is/are normally delivered within two to three days from the date you pay. We may change these terms (including price) from time to time. The terms that apply to you are those posted here on our Web Site on the day you order Product. All descriptions, design and size of Product are those of the original manufacturers and you may not rely on their accuracy. Accordingly, any such description shall not form part of these Terms and Conditions. Product is at your risk from the moment they are picked up by the Carrier from our warehouse. We do not undertake to compensate you for any loss arising directly or indirectly in the course of transit. You must pay us the full price of your order before we send you the ordered Product. You will pay all sums due to us on line by the Credit Card/Debit card without any set-off, deduction or counterclaim. The price as displayed on Web Site is inclusive of VAT and carriage charges which shall be charged on actual basis. Deliveries will be made by the Carrier to the address (within England) as stipulated in your order. You must ensure that someone is present to accept delivery. Deliveries are normally made within three days. If we are not able to deliver your Product within three days of the date of your order, we shall notify you by e-mail to arrange another date for delivery. We provide guarantee against manufacturing defects in the product (and its remote control and power control unit, if supplied along with the Product) for a period of twelve (12) months. We will either refund the price of the Product or replace the Product itself at our discretion. If you do not return the Product to us, you are still liable to us for the cost. We are under no obligation to collect or recover Product from you. We or our Content suppliers may make improvements or changes to Our Web Site, the Content, or to any of the Product, at any time and without advance notice. the adequacy or appropriateness of the Product for your purpose. We are not liable in any circumstances for special, indirect or consequential loss or any damages whatsoever resulting from loss of use, loss of data or loss of revenues or profits, whether in an action of contract, negligence or otherwise, arising out of or in connection with your use of Our Web Site or the purchase of Product. In any claim against us our liability is limited to the value of the Product you have purchased subject to the Terms and Conditions. You may not copy, modify, publish, transmit, transfer or sell, reproduce, create derivative works from, distribute, perform, display, or in any way exploit any of the Content, in whole or in part, except as is expressly permitted in these Terms and Conditions. Your Credit Card /Debit Card details are never received by us but controlled by our Contract Merchant Service Provider. Such information will be automatically encrypted and later decrypted for use. This encrypted information is retained for reference and security purposes only. You agree that you have provided, and will continue to provide accurate, up to date, and complete information about yourself. We need this information to provide you with the Product. taking any action in order to obtain Product to which you are not entitled. Where we provide Product without specific charge, then it (or they) is deemed to be provided free of charge, and not to be associated with any other service for which a charge is made. Accordingly, there is no contractual nor other obligation upon us in respect of any such Product. Nothing in these Terms and Conditions or on our web site shall confer on any third party any benefit under the provisions of the Contracts (Rights of Third Parties) Act 1999.